Fall is here, and in Texas that means a lot of things. For one, it means the blistering 100-degree days of summer are behind us. It also means we have football to look forward to every weekend. But perhaps one of the highlights for many North Texans in the fall is going to the State Fair of Texas. If you’ve never been, you should understand that this isn’t some little county fair. This is the State Fair of Texas and it’s a big deal. It’s the largest in the country, and it's so important, in fact, that some school districts in the Dallas-Fort Worth area designate Fair Days to give students a day off from school to go to the fair, and most of those school districts even provide students with a free ticket. Every year, millions of people attend the fair. Some go once, others go a few times, and some people try to go literally as many days as they can. Last year 2.25 million people walked through the gates of the State Fair. 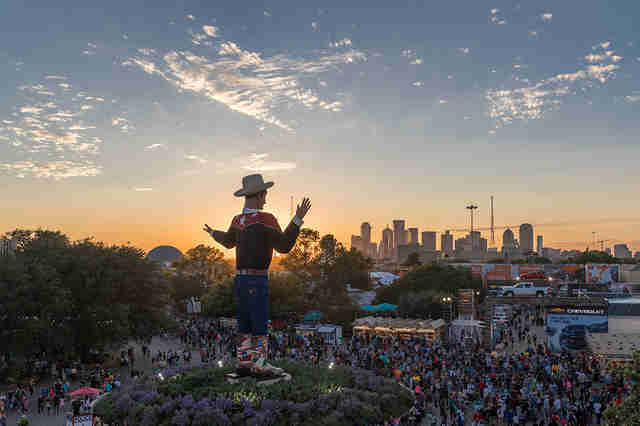 Whether you were one of those people last year, you’ve never been, or it’s been awhile, here’s everything you need to know about the State Fair of Texas. 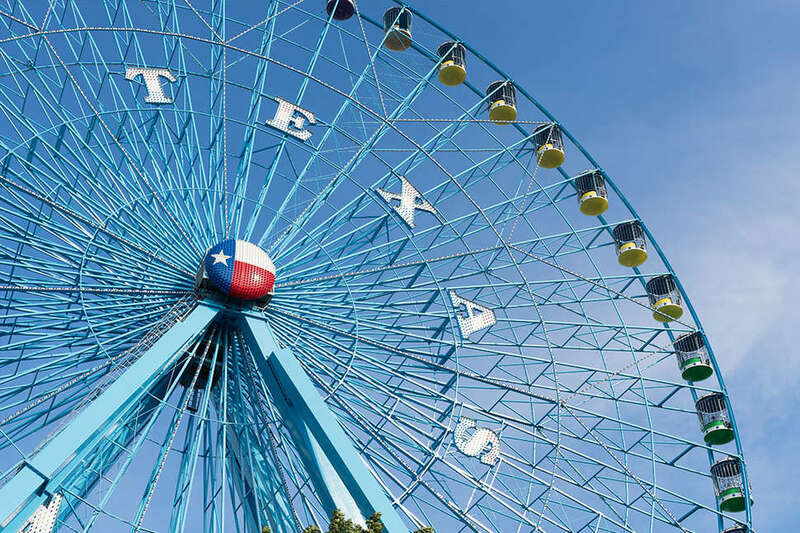 The State Fair of Texas begins on Friday, September 28 and runs through the Sunday, October 21. The gates open bright and early every day 7am, but most exhibits and concessions don’t open until 10am. Sundays through Thursdays the exhibits and concessions close at 9pm, but on Fridays and Saturdays they stay open until 10pm. The Midway games and the museum hours vary by day. Which events should I look forward to? Every single day at the fair comes packed with new and exciting events and specific attractions. Some of the can't-miss ones left at the tail end of the fair's run include a performances by Ludacris on October 13; Hunter Hayes on October 14; a show from Casting Crowns on October 20; and several other musicians in between. Also, whatever you do, do not miss one of the many, many pig races. For a full schedule, refer to the official daily rundown packed with events every half hour. Each year the fair is held at Fair Park. It’s a few miles east of downtown Dallas, south of Interstate 30. 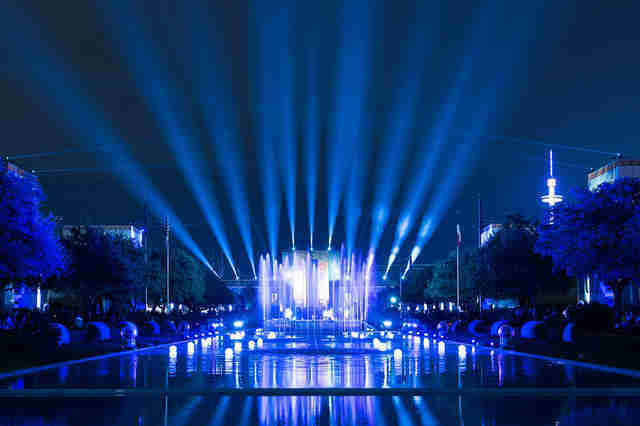 If you plan on driving, Fair Park is in the South Dallas area and accessible from I-30. Though do be warned that if you drive, you’ll have to pay for parking in addition to your ticket. (Valet parking is $30 while regular parking is $15.) The easiest way to get there without having to pay for parking is to ride the DART train. Take the Green Line to Fair Park Station or MLK, Jr. Station, and you’re there. Alternately, if you want to take a cab, Uber, or Lyft, the designated pick-up and drop-off area is just outside Gate 1 of Fair Park. The first place you can go to buy tickets is online at the Dallas State Fair's official website. When you buy tickets online, you’ll save $1.50 and you won’t have to wait in line. The next best place to buy your tickets is by going to a Kroger store. Kroger offers discounted general admission or season passes. But if you really don’t feel like buying a ticket, ask your friends. Several companies have partnerships with the State Fair and give out free tickets for their employees. There’s a good chance a friend of yours may have an extra ticket. I’m on a budget, but I still want to go to the fair. What do I do? 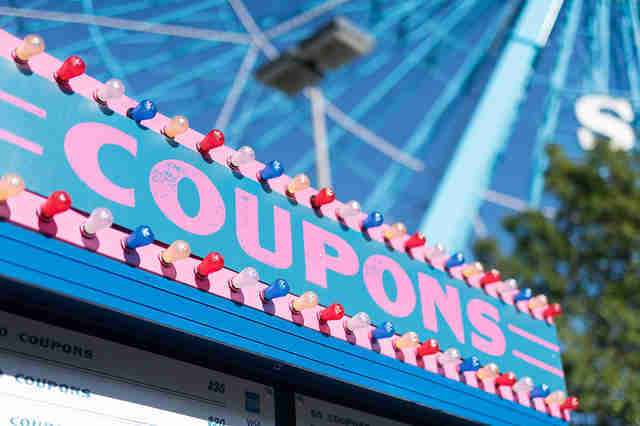 You can still enjoy the State Fair without having to spend too much. For starters, if you bring an empty can of Dr Pepper to the gate after 5pm, you can get a general admission ticket for half price. Or you can take an empty 20-ounce bottle of Coca-Cola on Thursday and get a ticket for $9. 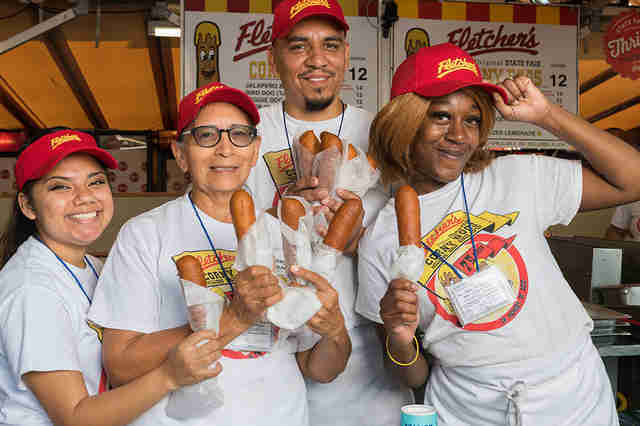 Thursdays are the best days for those on a budget because special food pricing is available on every Thursday for the duration of the fair, so you can get your favorites -- like a corny dog, cotton candy, and funnel cakes -- on the cheap. Where should I go if it’s raining or it’s too hot? If you happen to be at the fair on a day when a shower rolls through or it gets a little too hot -- don’t leave. There are plenty of places to go indoors and still have some fun. First, check out all of the new cars at the Texas Auto Show. Then grab a bite to eat at the indoor food court. Then go check out all of the animals in the poultry barn, livestock barn, horse barn, or the cattle barns. If it’s still raining or too hot after all of that, check out in the museums including the African American Museum, the Women’s Museum Building, or the Perot Museum Building. I don’t like crowds, what’s the best day to go? If you don’t want to go to the fair on a day when it’s too crowded, your best bet is go during the week. But if that’s not an option, and you can only go on the weekend, there are three days you’ll want to avoid: opening day (September 28), closing day (October 21), and Red River Showdown day (October 6) when the Texas Longhorns take on the Oklahoma Sooners in their annual classic matchup. Everything! Don’t actually do that, you’ll get sick with all of the fried food. We suggest starting off with the basics: a corny dog, a funnel cake, and some cotton candy. But if you want to try out a new food, these are the winners for the Big Texas Choice Awards: Fernie’s Hoppin’ John Cake with Jackpot Sauce won for best savory taste, the arroz con leche (sweet crispy rice) won for best sweet taste, and the cotton candy taco won for most creative. There’s a lot of food out there. Pace yourself and take breaks. All of the rides are great. But if you end up spending too much time eating, and only have time for one ride, make sure it’s the Texas Star. The view from the top of the Ferris wheel is stunning -- you’ll be able to see the Cotton Bowl, Fair Park, and the Dallas skyline. Have your camera, Snapchat, and Instagram Story ready to go. Where can I get a good drink? You can get adult beverages at most concession stands. But if you’re looking for something more specific, check out the Magnolia Beer Garden or the State Fair Wine Garden. It probably won’t be as busy at either, and you’ll have plenty of options. Do I really have to take a selfie with Big Tex? We’re not saying you have to take a picture in front of Big Tex. But it’s a rite of passage. And c’mon if you don’t post a picture with Big Tex at the fair, did you really even go?